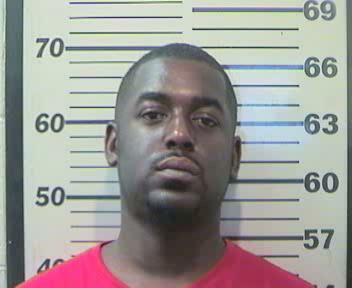 On April 7, 2017, Mobile County Sheriff’s Ofﬁce was called to the scene in Grand Bay for a Burglary/Home Invasion. The crime happened around 11:30 am on Broughton Road. The victim is elderly, and stated she went to her door to see a white male who said he was taking subscription for the newspaper. The victim stated she did not wish to have the service and then he forced his way into her residence pushing her to the ground. After forcing the victim to the ground, three black males came into the home wearing ski mask carrying guns and threatening the victim at gun point. The victim was forced into her bedroom where they duct taped her hands, ankles and mouth. The subjects ransacked the residence and took approximately $2000.00 in cash and her cell phone. All four subjects left the residence in a HONDA CIVIC, PEWTER IN COLOR. 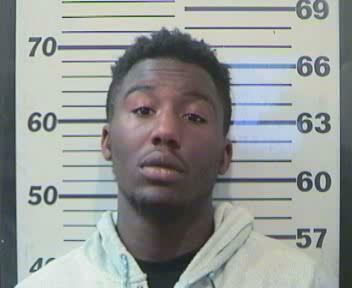 On April 19, 2017 we arrested TITUS TYREE DICKERSON and charged him with Burglary 1st. We are now actively searching for KEVIN LEWIS MOSLEY. This subject is considered armed and dangerous. If anyone has any information as to his whereabouts, please contact MCSO 251-574-8633 or you may report anonymously, www.mobileso.com/report-a-crime/.